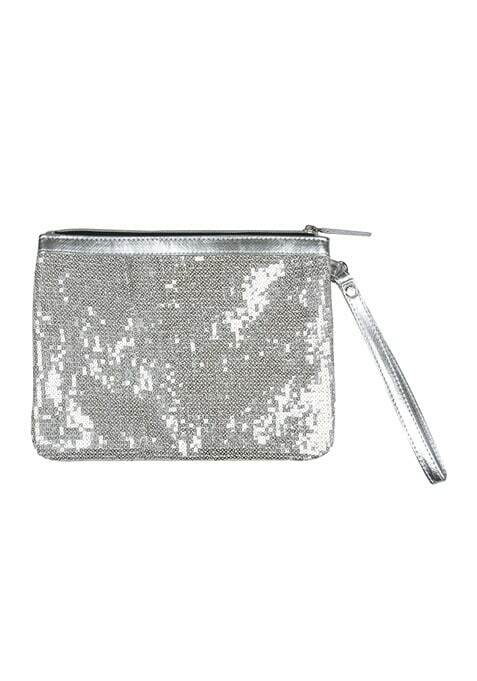 Shine on at the party with this gorgeous silver sequined clutch featuring a top zipper opening & a wristlet. Perfect for those glam-struck nights! Work It - Looks killer with a lace dress & strappy heels.